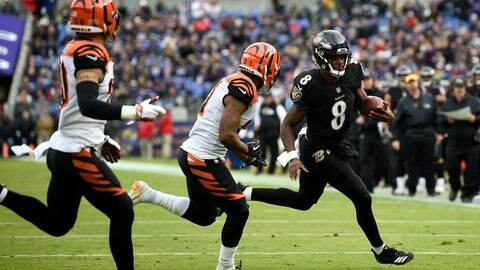 Calling his own number worked so Ravens coach John Harbaugh let Jackson tuck it and take off all day. But old-school football won’t cut it in a pass-crazy league where quarterbacks are posting ridiculous numbers every week. Even Harbaugh realizes Jackson can’t run the ball at that pace in the future.